This CD features the great violinist Oleg Kagan with recordings made at the Kuhmo Chamber Music Festival in July 1989 - one year before his early death at the age of 43. 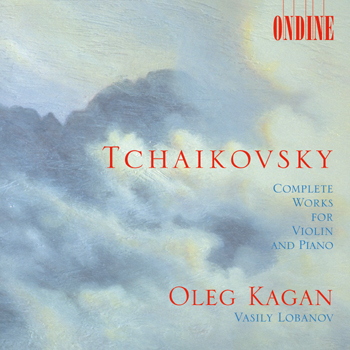 Together with pianist Vasily Lobanov, he performs Tchaikovsky's complete works for violin and piano, including the composer's own arrangements of Op. 10/2 and Op. 30.